Ithaca Shakespeare Company - December 2011: A New Home in Fall Creek! Come celebrate Valentine's Day and the opening of our new facility with us! ...including, of course, a performance of one of Shakespeare's greatest and funniest romantic comedies! More details will be coming soon, but feel free to start looking forward to it now! You can bring a date, or just come and cozy up with us and Will. As exciting as it is to begin developing our new home in Fall Creek, it's a little scary as well. Moving into a new facility is a major step and a significant expense for a company that has thrived on the freedom of performing outside and not being tied to a specific location. Help us make the most of this great opportunity. As you are thinking about your holiday giving, consider making a donation to help support the work of the Ithaca Shakespeare Company. Contributions of any size are welcome, and we promise we'll put your gifts to good use to continue building a Shakespeare program we can all be proud of! Click here to make a quick, secure contribution through our website. 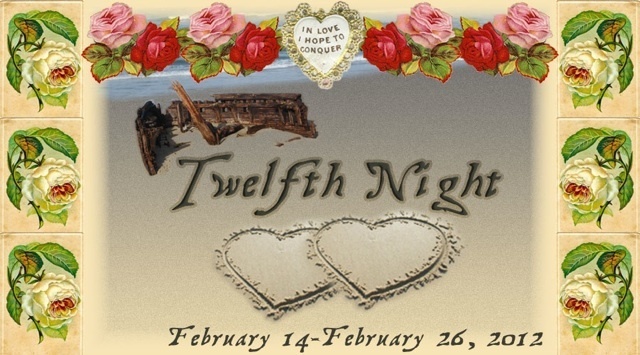 All donors will be recognized in a lobby display during Twelfth Night! A New Home in Fall Creek! The Ithaca Shakespeare Company is excited to announce that we will be celebrating our tenth anniversary season by moving into a new home! This January, we'll begin to develop a long-term rehearsal and performance facility for the ISC at Fall Creek Studios, part of the former Fall Creek Pictures complex. The ISC recently reached an agreement with Tsvi Bokaer, owner of the Fall Creek facility, to develop a long-term home for the ISC there. The Studios will provide the ISC with a flexible space for rehearsals and indoor performances. The intimate scale of the Studio space, along with the lighting and technical resources available there, will allow us to explore a very different style of Shakespeare performance from that of our large-scale outdoor productions. 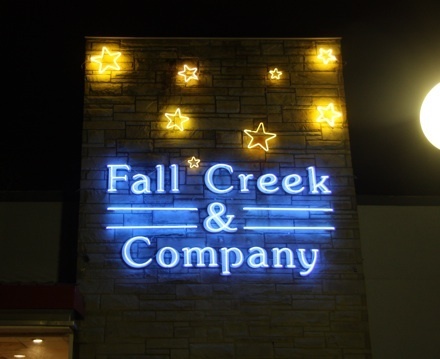 The company has rehearsed in Fall Creek Studios before, and jumped at the chance to become a part of the Fall Creek community and establish a new performance venue there. The space was formerly used as a video production studio. Rehearsing 2011's production of A Midsummer Night's Dream at Fall Creek. This doesn't mean we'll be giving up on our outdoor shows each summer, or changing our basic approach to Shakespeare. We'll be out at the Plantations as usual this July, and you'll see everything you expect from the ISC this February — but in an intimate indoor space, with full theatrical lighting and set pieces that don't have to stand up to sudden thunderstorms! Seating will be limited and tickets will go on sale in January!